It’s guest post time with my fellow friend from New Zealand, Tessa. Tessa believes that anyone can make a lifestyle change if they really want to, but we need to make that choice ourselves–nobody else can make that decision for us! I’m so excited to share 5 of Tessa’s favorite On-the-Go Snack Ideas with you! 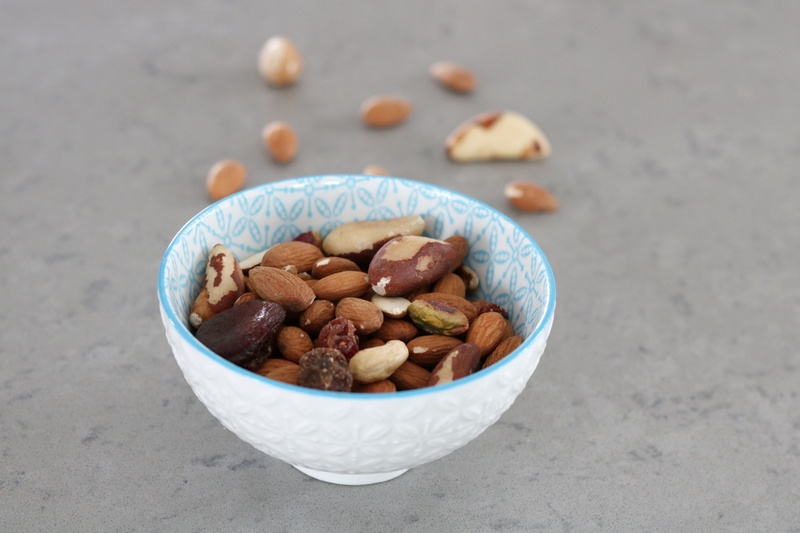 This blog post is specifically designed to provide fast, easy, healthy and nutritious on the go snacks for busy people who don’t have a lot of time on their hands. Me, personally, I love snacks and I eat often but I do make sure the majority of the time it’s food that my body needs, and not just wants. Snacks can often be the downfall in many peoples eating diets. It’s important to plan and prep early so when you need something quick and on the go, you’re not grabbing that sugary bar or packet of salty potato chips. Here’s my go to snacks I eat most weeks. Some of them you need to prep on the weekend, but it will save you a whole lot of time during the week! This is the type of thing I make on a Sunday afternoon for the week so I have something quick and easy to grab for morning tea. 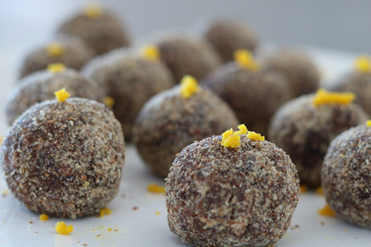 You can really put whatever you like in bliss balls which is the great thing about them. Usually I throw in whatever is in my fridge and pantry that I think might go alright together. There is one recipe; however, that is my favourite, check it out on my blog here. 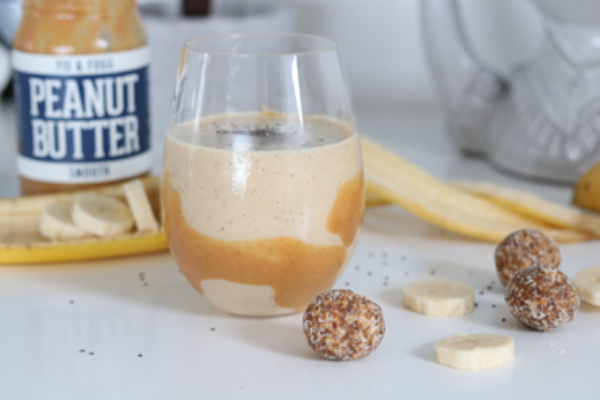 I am a huge peanut butter fan and if you use the right brand or make it yourself, in small quantities there’s nothing wrong with adding a little peanut butter to your diet. Lately I have been using Fix & Fogg Peanut Butter, which is made in New Zealand. The ingredients are peanuts and sea salt. That’s it! If you do not have access to this brand some of Trainer Haley’s favorites are: Justin’s, Nuts-n’More and Krema. This recipe is super quick and perfect for breakfast or a mid-morning snack. Gluten free bread has come a long way over the years and they’re loads of amazing brands out their today who provide gluten free bread options that taste great. Often the part where people can become unstuck is putting high sugar spreads onto their bread or toast like jam. Avocados also have more potassium than bananas which is a typically listed high potassium food. 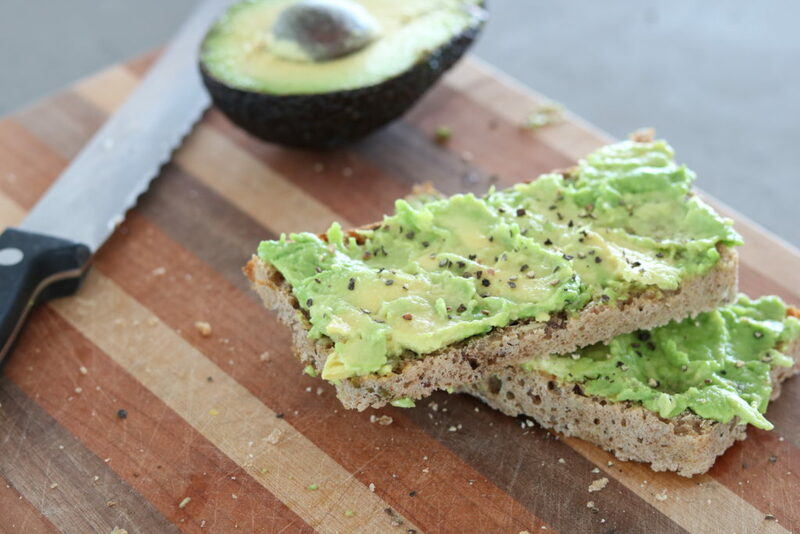 Besides being great for your body and health, it’s a quick and easy snack you can make at home or in your workplace (as long as there’s a toaster). 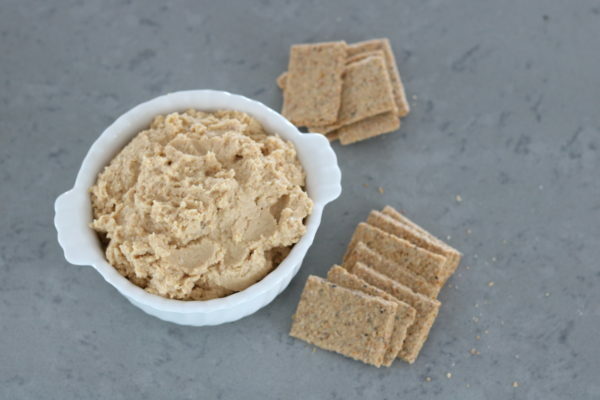 Hummus is a chickpea based dip which is so easy to make and doesn’t cost the earth! I’ve grown up eating hummus with crackers or carrot sticks and still today this is one of my favourite snacks. Combine all ingredients into a food processor except the liquid from the chickpeas. Add the liquid slowly as required until it’s a smooth consistency. A small bowl of nuts and certain dried fruits are such an under rated snack in my mind. There are huge health benefits in some of these trail mixes but you just have to watch out for the pre-packaged ones which sneak in chocolate or flavoured / coated nuts. My favourite trail mix is a combination of almonds, brazil nuts, organic apricots, cashews and cranberries. Brazil nuts have amazing health benefits and you should aim to eat a couple every single day. Brazil nuts provide our bodies with selenium which is an important antioxidant. Selenium’s antioxidant properties improve the function of vitamins E and C, which help to decrease the aging of skin so no need to buy expensive anti-aging moisturizers and make up, just start eating brazil nuts! Thanks so much to Haley from Amp Up Fitness for the guest blog post! Be sure to check out her amazing fitness and nutritional programmes to help you become a better version of yourself. Make sure to Checkout Tessa’s blog, Train & Treat, IG @TrainNTreat and FB @Train & Treat.